When summer rolls around, you need a reliable air conditioner that can keep your house cool and comfortable all season long. When winter arrives, you turn on the furnace or boiler, and expect it to keep the house warm until spring returns. At Absolute Comfort, we know important it is to have dependable heating and cooling systems, and when something goes wrong, it’s important to have a dependable HVAC repair team that you can call on. If you live in Algonquin, we’ll be there to help! Summertime in the Chicagoland area can be warm, and if your air conditioner can’t keep up with your family’s cooling demands, it might be time to call an experienced service technician. We know how to work on all types of AC models, and if we can repair your unit, we will. 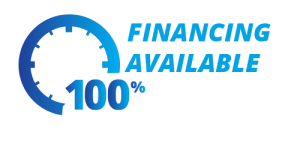 If it’s time to replace your cooling system, we’ll recommend the best option that fits your needs and your budget. Once winter comes, you need to have a furnace or other form of heating system that can keep your house warm and cozy all season long. If the furnace doesn’t turn on when you need it to, or if you can feel cold air coming out of your vents, give us a call right away. We can quickly and safely diagnose the problem and provide the necessary repairs. 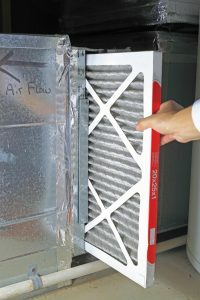 We can also help you find a new system that will keep your house warm for years to come. 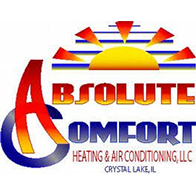 When you need HVAC repair and service in Algonquin, contact Absolute Comfort right away. We’re always happy to help however we can!